In the Chester Comix series, Chester the Crab learns history by visiting famous places and characters, with his travels presented in comic book format. Most of the Chester Comix tales take place within United States history, but there are a few that take us to other eras in other parts of the world. One book, Comic Economix, teaches some basics on economic systems and another teaches about forms of government, while yet another highlights famous homeschoolers. There are 28 titles in all, but the one about famous homeschoolers isn’t on the Chester Comix website order form—it is an optional add-on from the Homeschool Buyers Co-op. Each 24-page comic book is divided into four chapters with from three to seven pages per chapter. Each page can be read on its own although many follow each other in a logical sequence. This makes it easy to use just one or two pages in conjunction with a history lesson. Coverage of each topic is necessarily brief and selective, so these make the most sense used as supplements. Since some topics overlap from book to book, you will occasionally see the same page repeated in another book. In most books, each page has a header with a time line showing a few key events to provide context. It then introduces the story with a question such as “Did Powhatan try to kill Smith?” (The Jamestown Journey, p. 15). Author Bentley Boyd frequently adds humorous touches in his drawings and in the dialogues. Occasionally, as in The Jamestown Journey, he’ll present a story from various viewpoints to demonstrate how authors can easily create very different impressions of the same event. Examples of some of the titles available: The First Americans, War for Independence, Go West Young Crab!, Lewis & Clark and the Transportation for a New Nation, Heroic Folk, and Reconstruction Junction. Each book has a heavy paper cover and sturdy paper—these are not flimsy comic books even though they are printed in full color with cartoon illustrations and story board layouts. Some children will enjoy reading Chester Comix just for fun, but they are a learning tool rather than entertainment. To help parents and teachers make the most of them, free teacher guides are available on the website. These are substantial teacher guides, equal in size to the comic books themselves. They include vocabulary activities, projects, composition work, puzzles, narration prompts, and questions (with answer keys)—many activities are cross curricular, going beyond social studies into language arts, science, and math. The ideal audience is grades four through eight, but younger and older students will enjoy them as well. The presentation is secular but not anti-religious. For example, in Heroic Folk, there's no mention of Johnny Appleseed sharing the gospel during his travels, even though that was a critical motivation for what he did. Books are available in either print or downloadable versions. 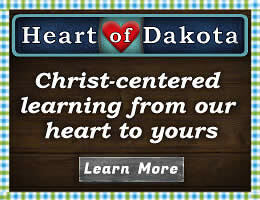 Teacher guides are only available as PDF files. 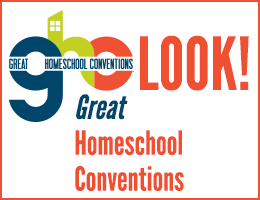 If you want the entire set, the Homeschool Buyers Co-op offers a fantastic group buy price. Check the publisher’s website for other options. 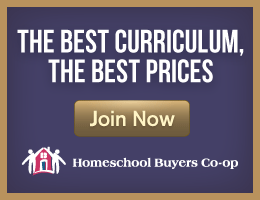 See the publisher's website or Homeschool Buyers Co-op. Purchase individual titles through Amazon.com or Rainbow.